September & October — Lunch off-campus, hosted by our student group advisors and their two baby girls! 12/27 — Night before travel to National Conference! Action Group is a loving community of Jesus-followers who are growing as a family, helping each other take ACTion to fulfill God’s purpose for each one of us and share God’s love at Brown and beyond. All are welcome to come see what the action group is all about! African Students Small Group. Experiencing faith and worship from an African expression with African Christian traditions. The group is open to students of all cultural backgrounds; meeting on Saturdays from 5:30-7pm in JWW 409. Chinese Small Group. A thriving, caring community of Chinese students experiencing the dynamic Christian life. We meet on Fridays 4:30-6pm in JWW 403; please contact Julia.Kim@cru.org for more information. Friday Dinner, Games and Discussion, 6-7:30pm in Formal Lounges 1 & 2 of the BCSC. Welcoming Freshmen @ Activities Night! 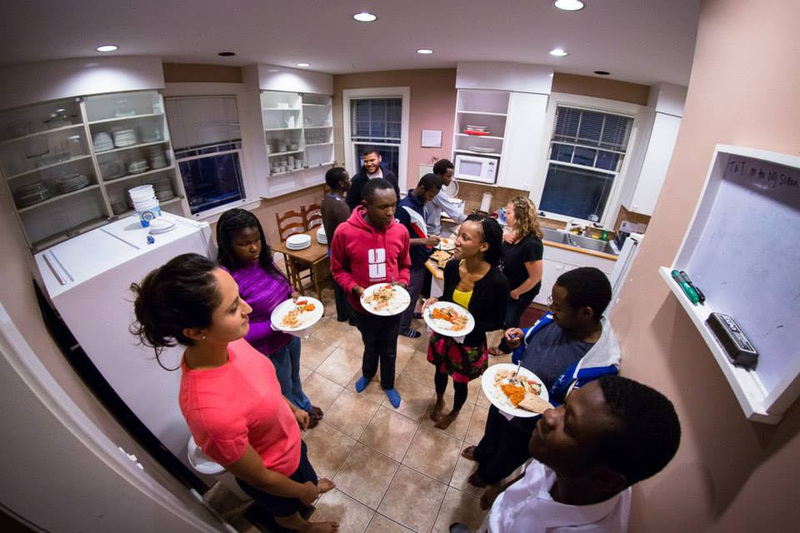 East Meets West, African Dinner Party! Join us on Friday for Kenyan & Ghanaian food, music, and 2 students’ stories of encountering Jesus in American and African culture. What to bring: Yourself and your friends and your appetite! Boston Trip, Saturday 2/16 A group of us will jump on the train up to Boston this weekend to enjoy Hot Pot & Karaoke in Chinatown. Get away from campus and explore a special part of Boston while you have the chance. Reply to this email to let us know you’re coming! Wondering about ways to ensure your summer is fun, meaningful, spiritually invigorating or deeply motivating? Check out Summer Projects opportunities.